In this era of constant social-local-mobile interaction, every local business is bound to receive its share of negative reviews. In fact, a profile of nothing but glowing reviews can actually look suspicious to your customers. In most cases, a small number of negative reviews is nothing to panic over, though you should certainly try to make things right with any dissatisfied customer if you can. 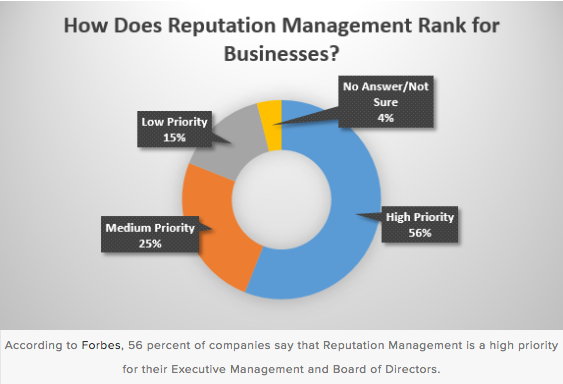 As the prevalence of review sites has grown, negative reviews have become a reality for more and more business owners, and their mere existence does not typically require seeking professional help from a reputation management specialist. There are cases, however, in which a pattern of accusations of terrible service, or even bad business practices or illegal activities can begin to fill up the search engine results with very negative data about a given business. Obviously, an ounce of prevention is worth a pound of cure: Rooting out and correcting internal problems is the best method of protecting your business from earning a negative online reputation. There are also cases in which businesses are wrongly accused of misdeeds as a result of personal problems or competitive sabotage. In such cases, a business may find it has become the target of a malicious attack at sites like ripoffreport.com, scam.com, or scambook.com. In the event of accusations of illegal activity, your first step should be getting in contact with an attorney, but there are other instances in which a business owner may simply desire to have bad press replaced by better press in the search engine results. Put very simply, the practice of reputation management involves replacing undesirable content with new content that paints a given business in a better light. This is typically a costly process that may be beyond the budget of many small businesses. Even big businesses often get reputation management wrong. Seriously, go through a 60 second exercise and start to quantify it. The more successful you are or have been leading up to now, the more that figure grows. All of your education, all of the years of experience and careful execution to build a good name, a good reputation. Now here’s the pain point in the marketplace for the executive and highly paid professionals and experts: THE INTERNET CAUSED A STRUCTURAL SHIFT. GOOGLE AND ONLINE REVIEWS HAVE CHANGED NOT ONLY THE GAME BUT ALSO THE PLAYING FIELD. Google search your name. What do you find? There are at least 10 results on that first page of Google. How many of them are about you? How many of those results are there by design, not by accident? How about your LinkedIn profile? Do you have one? Is it optimized? Are you pro-actively shaping and influencing what is being said about “YOU” online? Are you monitoring all of the online spaces for mentions of your name? Are you building a 5-star personal brand online?